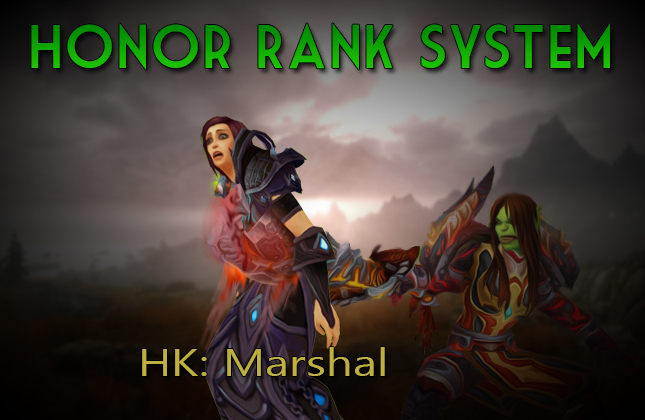 PvP Rank System available and working in all realms! Is this for Rated BG honorable kills? i got 90k hk but no have any title... how can i get title? No, lifetime honorable kill, not Rated BG. No it is for any source of Honorable Kills. and i have Sergeant Title xD ?! How is there still a typo in the titles here? [Deathwing] (retired) <Game Master> KaiKage.